A promise is a promise. Killzone 3 is coming to the PlayStation 3 and it has a few tricks up its sleeve, including the addition of jet packs and an option to play the first-person shooter in full 3D. The latest issue of Gamepro is already in the hands of lucky subscribers, packing an exciting exclusive in the form of Killzone 3, reportedly filled with arctic environments, a big emphasis on jet pack play, and, of course, plenty of human on Helghast action. 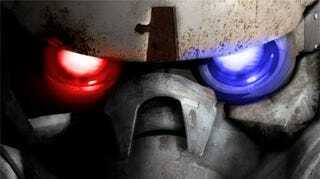 Where can you go after Killzone 2? Clearly machine gun-mounted jet packs and fur lined Helghast uniforms is the answer.